Departure from Aahar Restaurant,Techno Park. Arrival at Ponmudi top station. Halt and Leisure. Stay at Ponmudi Golden Peak Resort on triple sharing basis. Breakfast at hotel. Sightseeing and leisure. Drop at KTDC Aahar Restaurant, technopark and return to Mascot hotel. A picturesque picnic spot for families, friends and solo-travellers alike, Neyyar Dam boasts of a beautiful watch tower, a deer park, a lion safari park and a crocodile rehabilitation and research centre as well. 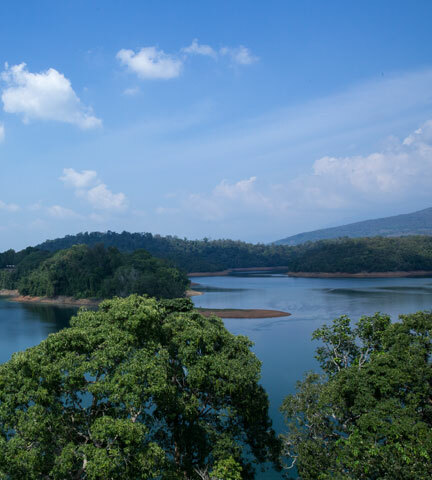 The Neyyar Wildlife Sanctuary of which the dam is a part is the habitat of over a hundred species of fauna including the Asian Elephant, tiger, leopard, Slender Loris and reptiles and amphibians like the King Cobra, Travancore Tortoise, etc. One can avail boating facilities at the reservoir which provides for a beautiful panoramic view of the area. Inclusions & Exclusions Only for technopark employees. The package is inclusive of travelling & accommodation at Ponmudi . Expenses like Lunch, entry tickets at all sightseeing places, boating charges etc will be borne by the guest.